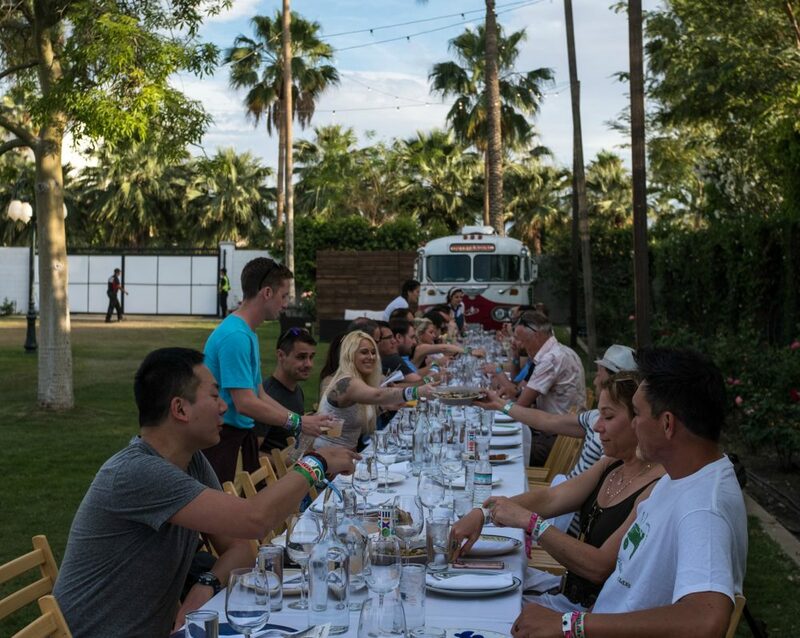 You’re probably not going to Coachella for the food–but the fact that the festival always brings it on dining options certainly makes the weekend a more pleasant experience. 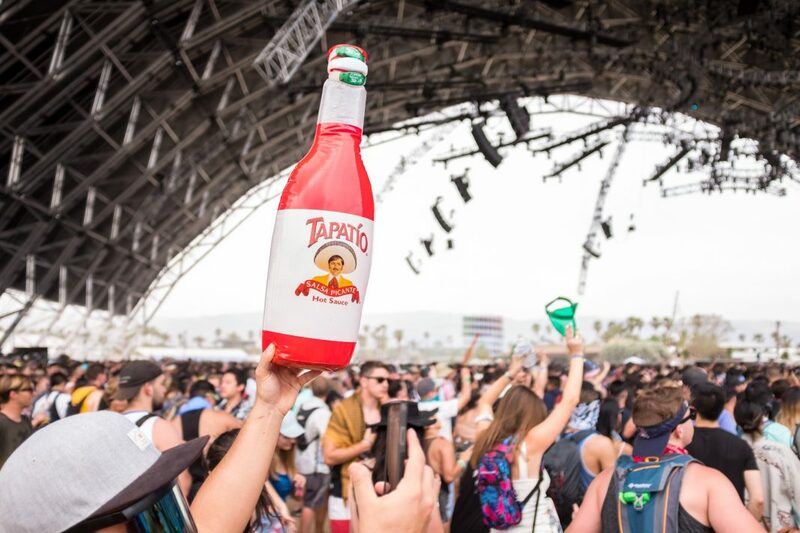 No matter how many performers on the lineup you love, there’s always going to be downtime when you want to grab something to eat. 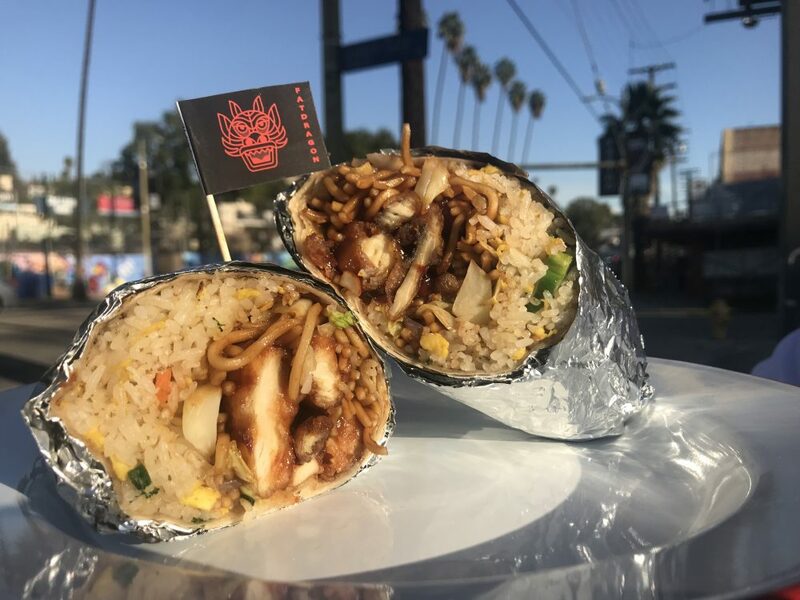 Thanks to expansions–including a whole Roy Choi complex called KogiTown–this year’s #foodchella might be the best one yet. 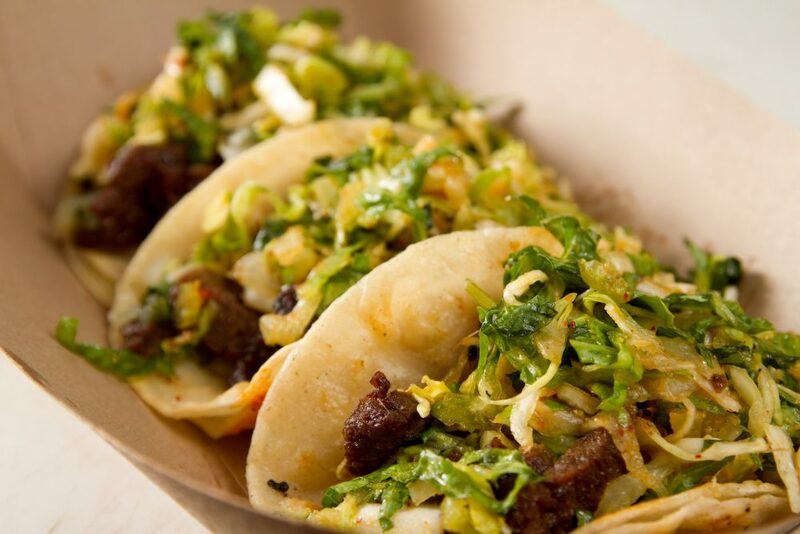 Beloved L.A. chef Roy Choi brings some of his concepts together in one area. 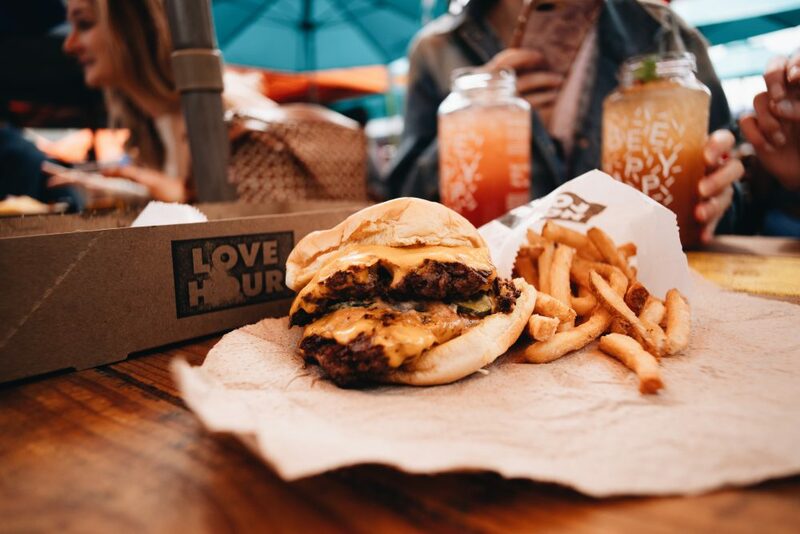 On the menu you’ll find Kogi burritos and tacos stuffed with short rib, chicken, or tofu, a mix of Chego bowls, and several options of Chego fries, including an exclusive Ooey Gooey Fries dish with sour cream sambal and kimchi. Nearby, you’ll also find concessions from Shake Shack, Wingman, PB&J, and McConnell’s. One of the secret hacks of Coachella life is to treat yourself to an Outstanding in the Field meal on one evening. You’ll join fellow diners in the lush VIP rose garden, and enjoy sitting (blessed sitting!) and eating a proper meal. The chefs on deck are all top tier: Shirly Chung and Casey Thompson (4/12), Nyesha Arrington and Jessica Largey (4/13), Elisabeth Prueitt, Katie Hagan-Whelchel, and Leah Chin-Katz (4/14), Adam Sobel and Ray Garcia (4/19), Susan Feniger and Mary Sue Milliken (4/20), and Jason Neroni (4/21). Don’t have VIP festival passes? Don’t worry. A ticket to the dinner includes VIP access for the entire day of your reservation. 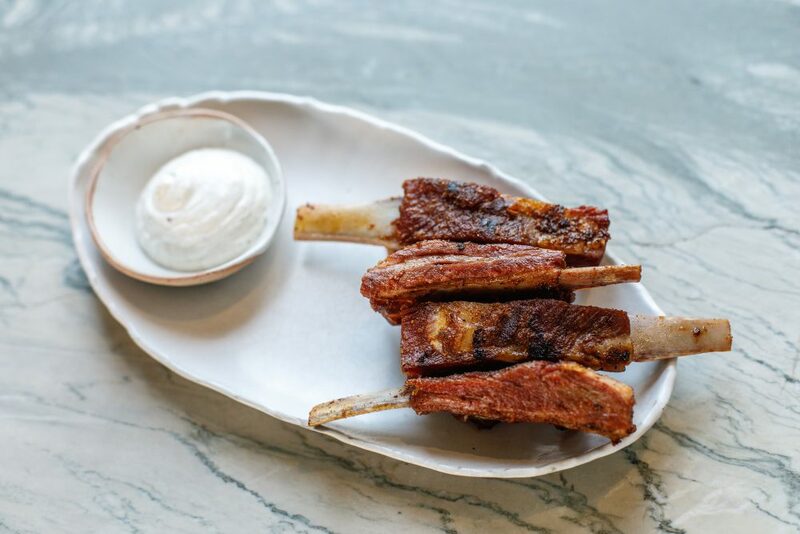 Aussie celeb chef Curtis Stone and his brother Luke Stone bring their L.A. restaurant Gwen out to the desert for the festival. Book a reservation via OpenTable just like you would in the city, and you’ll not only enjoy a great meal (with options for a variety of dietary preferences), you’ll also skip the whole, walking around, food in hand, waiting for someone to get up drama. Nobody likes missing the set they wanted to see because they were stuck waiting in line for food. Ensure this never befalls you by placing your food orders on your phone with the Postmates app (pray for data). You’ll be able to order from Top Round, Hanjip, Ms. Chi, Fat Dragon, Trejos Tacos, Sweetfin Poke, Pizzanista, Wolf, Monty’s Good Burger, or Cheezus, along with an assortment of beer, cocktail, and soft drink options. When your order is ready at your selected pickup point, just grab and go. When you’re ready to take a break from the festival action, duck out of the sun and into this covered food marketplace. Inside you’ll find a variety of comforting classics, including Konbi, Van Leeuwen ice cream, Fat Dragon, Hawkin’s House of Burgers, Vegatinos, Ramen Hood, Ms. Chi, Hanjip, Pizza by Round 2, MatchaBar, Cheezus, Sweetfin Poke, and LAMILL. 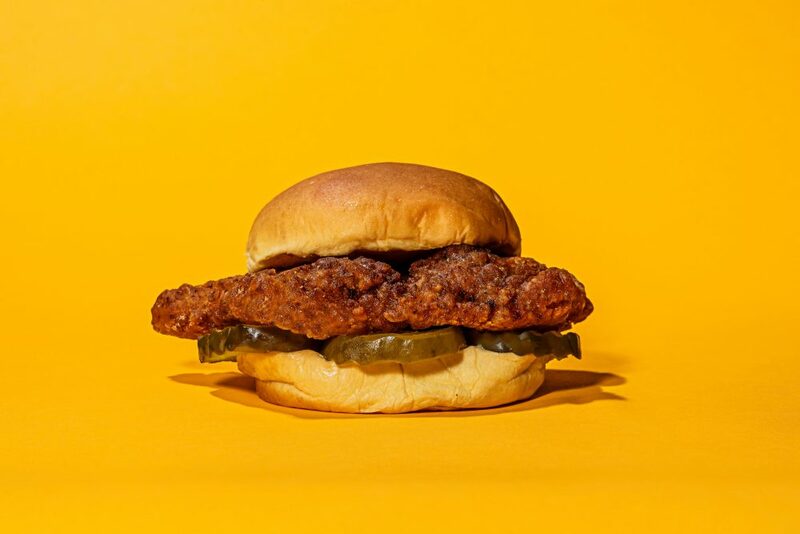 Also returning this year is David Chang’s Fuku fried chicken stand which was a hit with 2018 festival-goers. Inside the Beer Barn, you’ll find beer (did you guess?) 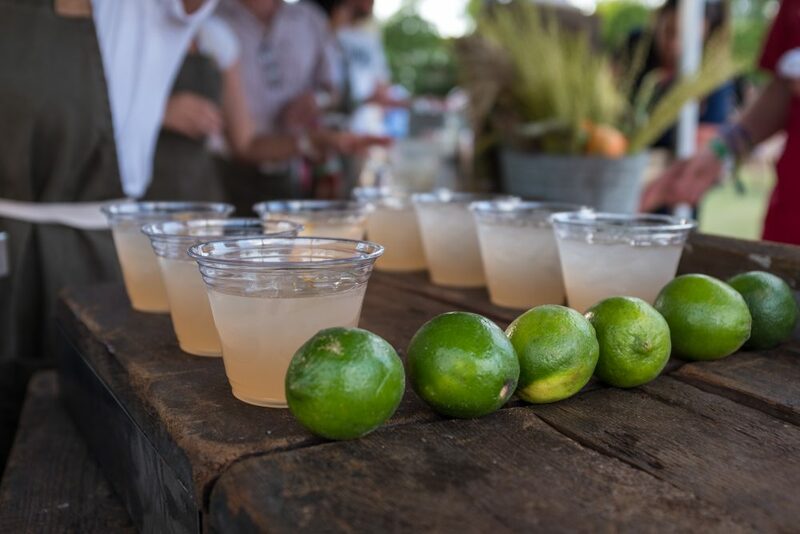 and other beverages, along with food options, including Beer Belly, Trejos Tacos, 800 Degrees, a second Fuku location, and a concept from chefs Bruce Kalman and Tyler Anderson called Square Peg. Tucked within the Beer Barn is the Cabin, a cocktail bar from the Houston Brothers. It’s not the only “hidden” bar on the festival grounds; keep an eye out for PDTiki, as well. It is a fact of festival life that some things are only available to those who splash out for VIP status. That’s apparent in the dining selections, which include two different VIP-only food pods. Scan your wristband for access to options including Wolf, Tacos 1986, Feedman’s, Backyard Bowls, Playa Provisions, Love Hour, Madre!, The Rose Venice, Kazu Nori, Nana Lu, Chingu, Me’ze, Cha Cha Matcha, Broken Shaker, and Augustine Wine Car (not a typo; it’s a wine bar on wheels). Another fun on-the-go snack option, the Boardwalk offers options from Pressed Juicery, Tacos Lobos, Salt & Straw, Seabirds, and Milk Box. 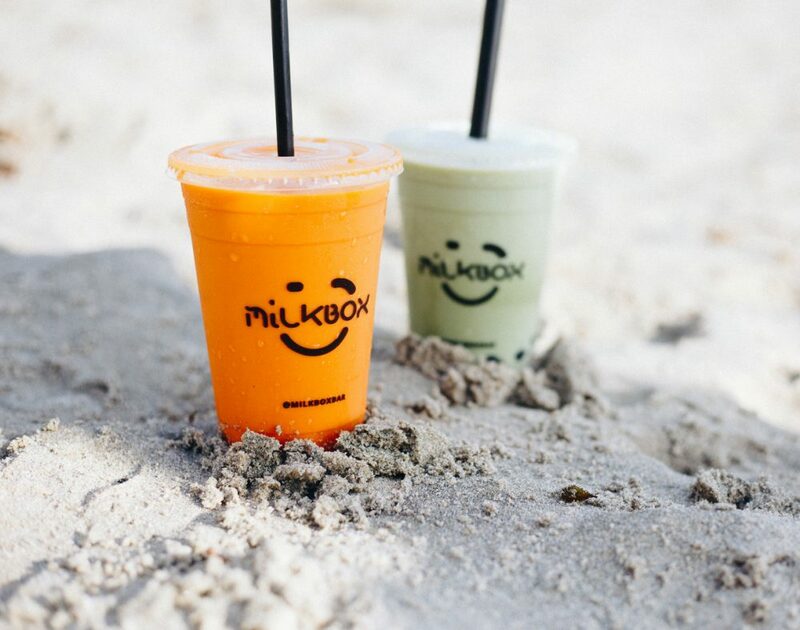 Don’t miss the Coachella-only mango matcha by Milk Box, one of the O.C.’s best boba spots. Need a little burst of caffeine to keep you going? Peet’s coffee expands their partnership with Coachella this year to include a new Cold Brew Tap Room concept, where ice cold coffee will flow. Elsewhere on the grounds, a Peet’s bus will offer misers, free coffee samples, and phone charging stations.